I have an announcement: For the first time in years, I have recently invested in a protein powder. These are exciting times. I know there’s at least 3,456,000,000 articles already in existence on the net touting the benefits of protein, but today’s post is not your average ‘buy-this-brand-of-protein-because-I’m-endorsed-by-the-company’ propaganda. Working in the industry, I get asked multiple times per day whether or not so and so should get serious and get some ‘WHEY on board’. It gets so bad I’m considering typing out my own protein powder Q&A checklist to hand to people when they ask. But that would be no fun and way too anti-social. A change is as good as a rest they say, and when you’re working away from home you know from experience how much tougher it can be to stick to any meal plan. Good quality protein without a kitchen? Tricky. Quality calories without being forced to support the sandwich and pastry industry? Equally as hard. If you read the post linked above, you’ll see many of the ideas I cooked up are actually very good and feasible. Believe me, I practised what I preached – and for years. Tuna is a godsend if you can stomach it without much fancy modification. But let’s take a step back and look at the environment I’m in; I’m on a gym floor for hours per day. I also teach exercise classes too. Is it really practical to whip out a tuna can and fork, and start eating it right there and then? Throwing a scoop or two in a bottle and mixing it in with half a litre of coconut water though? Now we’re talking. You can carry that around with you wherever you go. ‘Convenient’ is the word we’re looking for. And not to mention the rapid digestion process; liquid calories are absorbed much faster than solid foods and that aids, or off-sets, the catabolic nature of exercise classes (not always a bad thing though). If you were wondering what source of protein I actually invested in, it wasn’t whey. It was pea protein isolate believe it or not. Simply because I eat more than enough animal protein and I’m hands down intolerant to lactose. I only have to drink a mouthful of dairy and I’ll have mucus build up for days. Not fun. Not pretty. So I went for a vegan source. 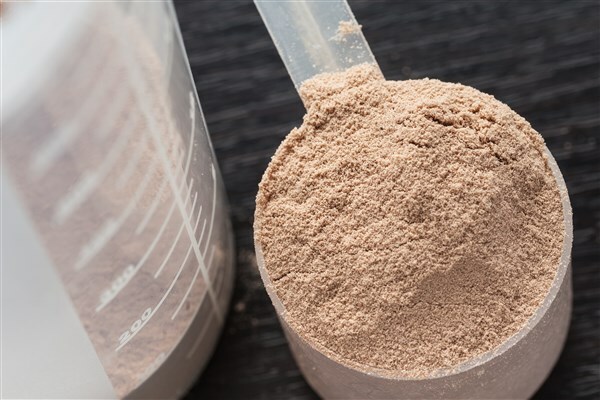 Are protein powders necessary? Absolutely not. Are they useful? They can be. For me, after much experimentation, I think I can benefit from having protein powder when I can’t get access to quality protein. Which due to work circumstances, is quite often. I don’t believe the fairytales of guys working out or doing cardio, and falling down a drain hole on their way home because they didn’t get their whey shake with chocolate milk down their neck – and their vest while they’re at it. We just don’t waste away that easily. As if that’s a bad thing! Maybe I’ll not use protein powder again after this, maybe I will. We’ll see. Whatever the case, variety and food rotation is healthy. Notice I didn’t name the brand of the powder I bought? As I promised, this isn’t your average protein powder article ;). Previous Previous post: 20 hours fasted – torture or liberating? So I noticed you didn’t name the brand, HA! But I am very curious as to which brand it was. I am very intolerant of whey protein and have been searching for one I could handle! Did you notice before I mentioned not naming it? 😉 haha. It’s Pulsin Pea Protein Isolate. Very cool post. I agree, protein powder is ultra convenient. Although I have had whey most often, the pea alternative is intriguing. If anything else just to switch things up and see if it is a catalyst to any progress. How’s the taste of it? Whey is faster acting, which is why everyone loves it. It makes sense. I’m not against it, I just know I wouldn’t tolerate it. Pea protein is very mud-tasting, I must admit. But if you mix in coconut water, it tastes like milkshake! 🙂 Without though, the taste is still tolerable. 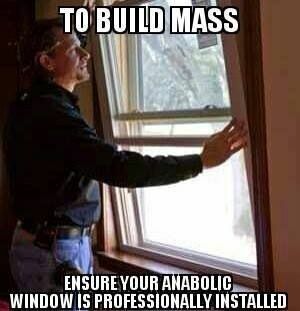 I use a pea protein blend too! I eat mostly plants, so it’s an easy way to make sure I’m covering my protein needs, plus it makes my daily green smoothie taste better. Straight Talking Fitness Got protein powder?